@SutibunRi thanks. I wonder if they're sent out already, otherwise @acydlord send me a pm with your updated address and I'll update the sheet. Hopefully it's modified in time. Just got the email notification from them, should be here in the next three days! Can't wait! Got mine. Thanks again for running this. Can someone please take some photos of them and post them here? Thanks! 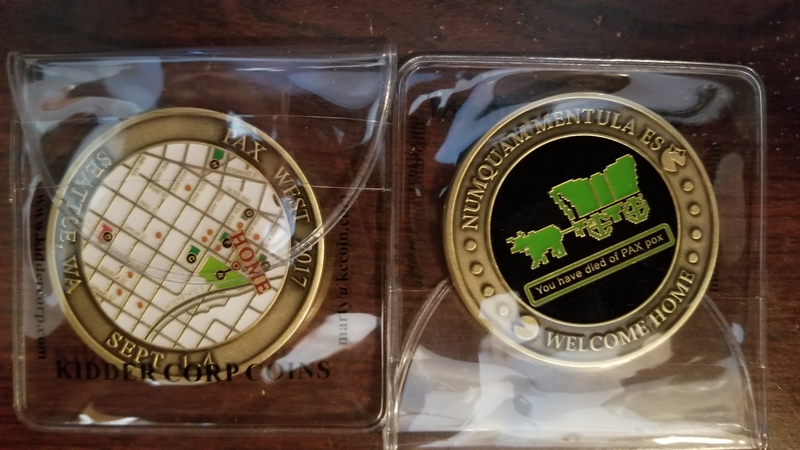 Got my coins and I love them! Thanks again to everyone who helped put these together! 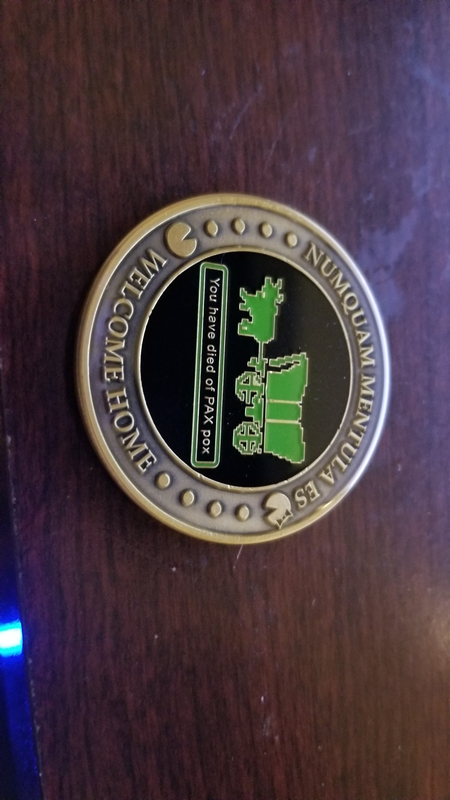 Coins received. They look great! I love my coins! Thank you so much for all the hard work! Can't wait to do this next PAX. Looks great, hope the AUS coins come out that well. Delivered the coin to a non-forumer PAXer and he was ecstatic. He wished to pass along his happiness at the design and thanks for producing these. Not sure if this is good enough quality but here you go! 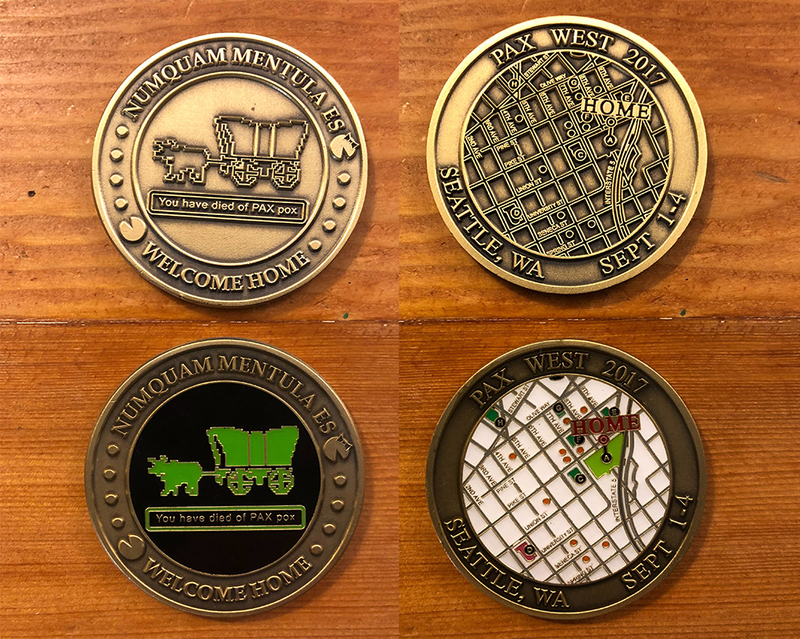 Still looking for a clear photo (sorry @IncreaseBlue ) of all 4 sides if anyone could take a fresh pic of last years coin. Similar to the photos we already have on the wiki page linked above.  I can resize/upload it myself once I have one. Or maybe even just pics of the front and back of the non-color ones, since there doesn't seem to be any photo's of that version. Haha WAY better than my photos. 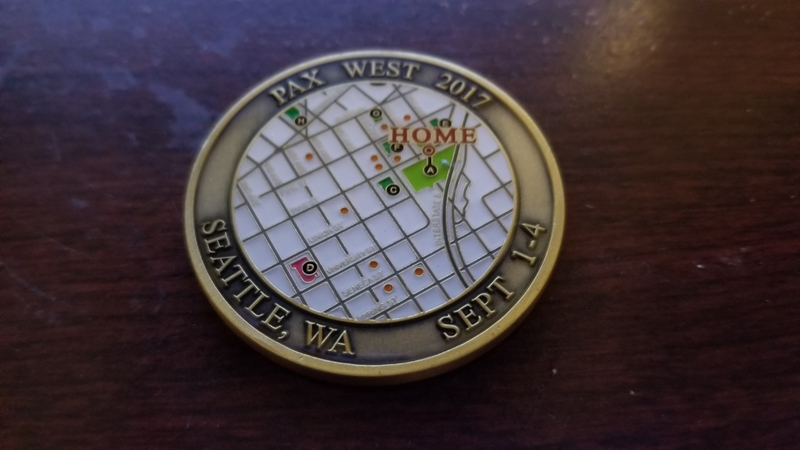 Love the look of this coin, can't wait for this years'!